There is a lot of music out there in the world. With the Internet, one has a seemingly endless supply of new music, some created even as you read this. There’s also a rich history of music going back hundreds (and thousands!) of years. Good songs are timeless and you shouldn’t discount a song simply because it’s older than you are. Or older than your great-great-great-great-great-great-great-great grandparents, for that matter! 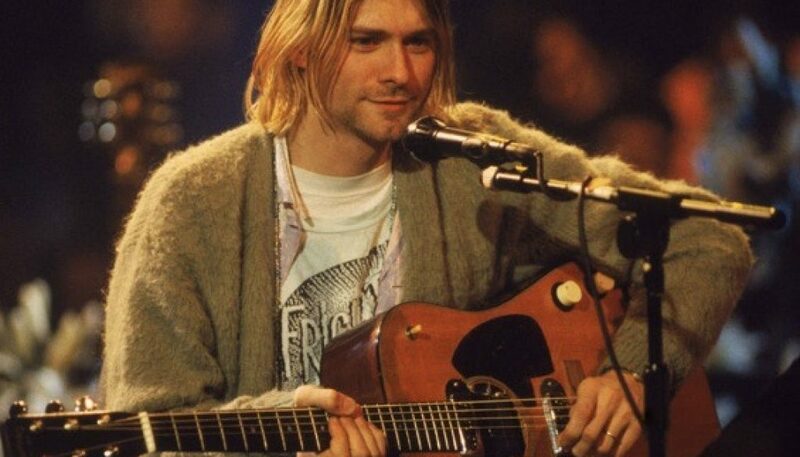 Case in point, many people are familiar with the song Where Did You Sleep Last Night because Nirvana performed it on their MTV Unplugged performance (it’s also on the album issued from that performance) and they may assume that Leadbelly (Huddie Ledbetter) wrote it since Kurt Cobain attributes the song to him. But historians have traced the song back to at least the 1870s, making it impossible for Leadbelly to have written it. While the song’s original author is unknown, it has been recorded and performed by hundreds (if not thousands) of artists since 1925, up to 2010. You certainly don’t have to play this song in lowered tuning. The final MP3 file that accompanies this lesson is in Eb standard, so bear that in mind if you try to play along with it. All the other MP3s are in E standard. I apologize in advance for this confusion. Every time you try something like this, it’s going to be slightly different. You’ll catch a different string on an upstroke or hit the same string with slightly different pressure. That’s part of what makes playing so organic. You want to treasure that. You can use this short chromatic climb in other places as well. For instance, when you move from the G6 chord to the Bsus4, it’s easy enough to hit the G note in the bass and then run through the A of the open A string and then the A# at the second fret of the A before landing on B. This is essentially just moving down the E minor scale from B to G, throwing in partial chords on the upstrokes between the beats. You can opt for just the single bass notes, too. Giving the G note a little tug, which is essentially a quarter-step bend, gives it a blue note quality, placing the tone somewhere between G and G#. This is a technique used quite a lot in blues, rock and country guitar. If you like, you can use a hammer-on to get the G note in the bass (third fret of the low E (sixth) string) at the third beat of the second measure. You can also use both the hammer-on and the quarter-step bend. There are many, many versions of this song, particularly as far at the lyrics go. In addition to Leadbelly’s (and Nirvana’s), which focus on the girl who spends the night in the pines, you’ll also find many that revolve around “the longest train.” I’ve used a bit from both in this version. I hope that you have enjoyed this song lesson. I know that many people attach a bit of disdain to “traditional” songs, but a great song will be played regardless of its age and origin. There is a lot of music out there in the world. You should go digging through some of it that’s been around for ages and see (and hear) why they are still played hundreds of years after they’ve been written. As always, please feel free to post your questions and suggestions on the Guitar Noise Forum’s “Guitar Noise Lessons“ page or email me directly at dhodgeguitar@aol.com. I’m just trying to work out the timing on the strumming with this as there’s a downstroke on beat one and and upstroke on beat three. I’ve listened to the mp3 and I think you’re playing up down up down across each bar? so the middle up down strokes are off timing with an exact beat? Awesome site, thanks for the thorough and completely detailed tab and instruction given on these songs! Thank you for share free lessons on line. And I think more viedo lessons will be cool.